With Bon Jovi rolling into Villa Park this weekend, any Villa supporter with a ticket could be in for an unexpected special surprise. 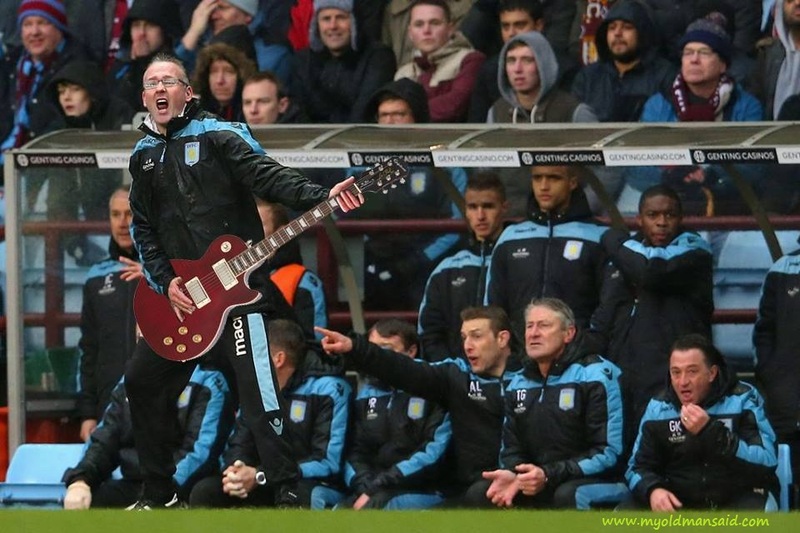 Rumours have made there way to MOMS HQ that Bon Jovi and none other than Villa manager Paul Lambert, are in secret rehearsals at the moment to perform a special encore rock version of ‘Holte Enders in the Sky’ at the group’s Villa Park concert. A source privy to the first rehearsals of the song last year, told MOMS that the twin-axe attack of Richie Sambora and Paul Lambert had created “a very AC/DC sounding hard rock version” of the Villa supporter classic. With Sambora dropping out of the band’s tour due to ‘personal reasons’, it’s hoped that the guitar-playing former Villa boss John Gregory could fill the void. While Villa fans may fondly recall Gregory’s guitar antics and his love of Bruce Springsteen, until now, little is known about Lambert’s prowess on a six-string. However, one eagle-eyed photographer caught Lambert practicing during the recent 6-1 blitz of Sunderland at Villa Park. Villa supporters largely had their eyes fixed on Christian Benteke scoring a hat-trick, so missed Lambert getting a bit of early practice in (below pic). Thanks to Mark Payne for the Photo Manipulation! good one!!! richie is not even in bon jovi at present!! PaulGilmour Read post again. I stopped paying attention to Bon Jovi after Slippery When Wet, so no idea what Richie is up to!